* Heavy Duty stamped latch interlocks with the hook tip. * High Cycle, long life spring. 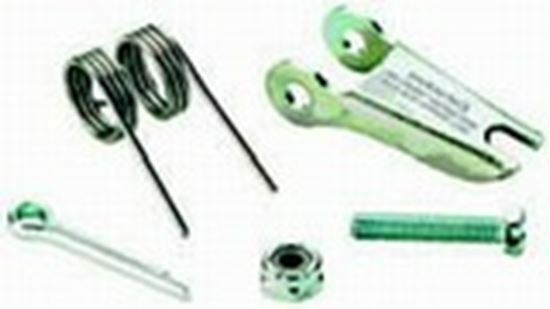 * Can be made into "Positive Locking" Hook when proper cotter pin is utilized. * Latch Kits shipped unassembled and individually packaged with instructions. * Available in Stainless Steel (SS-4320) Upon Request. IMPORTANT: The new S-4320 Latch Kit will not fit the old style Crosby 319, 320, and 322 hooks.